We are not only passionate about good chicken, but are also active on issues such as ethical animal husbandry and minimal environmental impact. The chickens have plenty of space to move around and all handling, including loading and unloading is done by hand. Our chickens eat vegetable feed, completely without additives and we can guarantee that it doesn’t contain fishmeal, bone meal, antibiotics or genetically modified products. They eat nothing but corn, legumes, cereals, grass, oat oil, vitamins and amino acids. 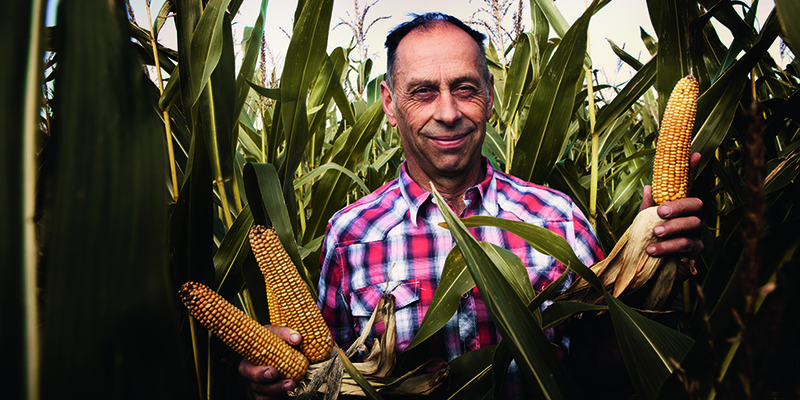 We make the feed ourselves and the base ingredient is corn, grown close to the Bjäre Peninsula. By using locally grown feed and returning the fertilizer to the fields in the area, we are helping to keep the natural cycle working.